The one year anniversary of Kris Richardson’s disappearance will come to pass this week (Kris disappeared October 6, 2014). It is with a heavy heart I revisit this blog post. 365 days—a blink and an eternity for a family still in need of closure and peace of mind. If you pray, I ask you say a prayer for this woman who you may or may not know, and all those who love her. There are so many who mourn her disappearance—her loss. Perhaps someday there will be answers. I sincerely hope so. Regardless, Kris will always be remembered and forever loved. To my dear friends and their families, you are held tightly to my heart and I raise you in my prayers. Your small yet mighty Mom is there too. May this week find you close to one another, comforted by the love you share for Kris and the love so many have for you. Helpless is a word that is thrown around a lot. It can be an insult. Sometimes it’s an exaggeration. But, the worst…is when it is used accurately. 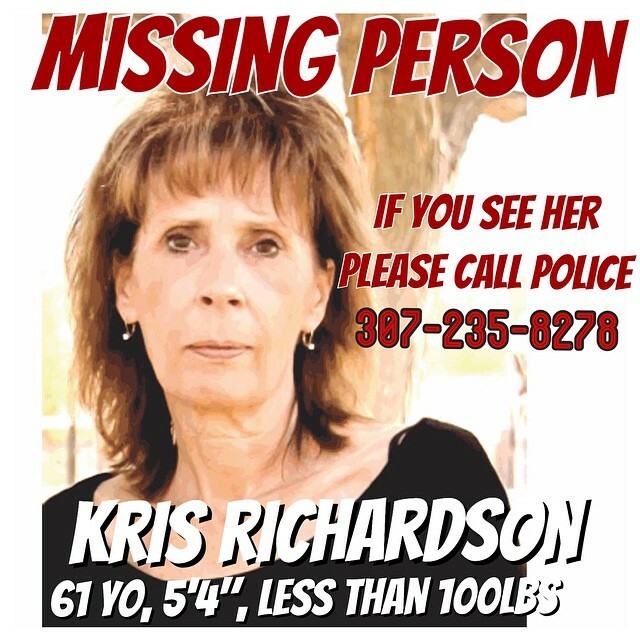 Last week, in my small Wyoming community, tragedy struck when Kristi (Kris) Richardson (61), a woman, mother, grandmother—more specifically, the mother of MY friends, went missing from her home sometime after 7:30PM on Monday October 6th. The details of the discovery of her disappearance I will leave out for efficiency, but also because they are irrelevant, as they left no clues to her whereabouts. Just as the literally hundreds of combined man-hours of searching, studying, interrogating, researching, and detective work have also provided no substantial information from which to derive answers. While I’ve read books and watched movies where complex plots are laid out for the successful intentional disappearance of a character, Kris was not—is not—a pawn in some author’s figurative literary game of chess. She is real. She is loved. She is missed. This situation has left the many people who love and care for both Kris and her family, quite accurately, paralyzed with the feeling of helplessness. This is to say nothing of the agonizing heartbreak—which I will not even pretend to think I can understand—that Kris’ family is bearing with admirable grace, but obvious suffering. The feeling of being helpless to find Kris and ease the pain of those I love has brought me here. I do not have many outlets to ask for help in this situation—but, this is my space, and here I can ask any and all of you who may visit. I ask for your help. 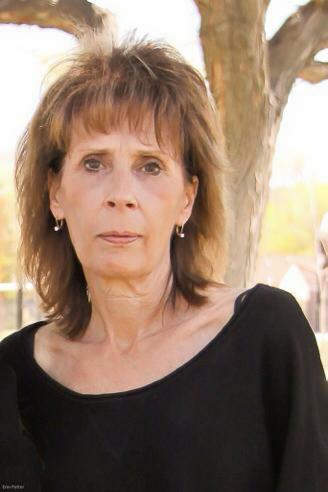 God, please hold Kris in your loving arms and bring her home to her family and friends. Lord surround those who love Kris with your peace that surpasses all understanding during this time of tradgedy. I read an article sent to me from a friend about a man who own a trucking company in North Dakota is being investigated for the possible murder/s of other trucking company owners in North Dakota. He recently plead guilty to murder for hire to one of his partners in Washington. I wonder if this has been looked into? Thank you, Alaina. I will pass on your comment.